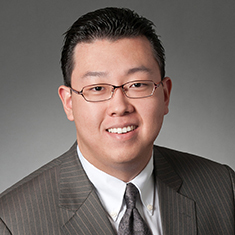 Phillip S. Koh concentrates his practice in financial services and asset management matters. In addition to counseling investment managers—including investment advisers, commodity pool operators and commodity trading advisors—on transactional, regulatory, and related issues, he advises private investment funds on formation, offering and other matters that arise in connection with the operation of pooled investment vehicles. He also provides advice to investment managers and private investment funds with respect to their regulatory and compliance obligations under federal securities and commodities laws and regulations. Phillip attended law school on a full merit scholarship. While in law school, he was a semifinalist in the William Minor Lile Moot Court Competition, during which he received the McGuireWoods Best Brief Award and the Paul Hastings Best Oralist Award. Shown below is a selection of Phillip’s engagements.